Drop-in child care facilities can be a lifesaver for a number of reasons be it a medical appointment, an unexpected invitation, or simply a couple of hours of adult time. Some of these businesses are open on weekends as well as during late hours. There are many other childcare facilities and schools in Houston but most are set up for working parents who need regular care and an educational environment for their children. Drop-in care is not easy to find. Visitors can also inquire with their hotel's concierge or front desk staff to see if they have a list of accredited babysitters. Some resort-type hotels also have a children's program and on-site childcare. Mom's Best Friend is an agency serving Houston that provides childcare in your home or accommodations. If you're in a bind and in need of some last-minute child care, start with this list to find the best location in Houston, Texas to suit your needs. Adventure Kids Playcare is a drop-in child care facility for kids 6 weeks to 12 years with several locations throughout the city. In addition to providing a safe, supervised environment for your child, Adventure Kids also has a host of fun activities and games to keep children entertained. While some locations are open on the weekends, hours and rates vary by facility, so check out each location's website for specific details. Meals may be purchased for $4/meal; however, meals excluding peanut products may be brought from home. Gluten-free options are available. Tip: Refer a friend (new member) and receive one free hour of childcare. Let Us Play is an hourly child care service that cares for kids 18 months and older, Monday - Saturday. The facility offers arts and crafts, video games, movies, dancing, and more. Rates include an annual registration fee for each family, and then a per hour rate is charged, depending on the number of children needing care. Families with multiple children receive a slightly discounted rate per child. Meals are not included in the rates but may be purchased from the affiliated restaurants. Meals not containing peanuts may be brought from home, but no heating or refrigeration will be provided. Snacks are provided. Unlike some of the other drop-in and licensed care facilities, World of Wisdom can take kids as young as 1 day old. 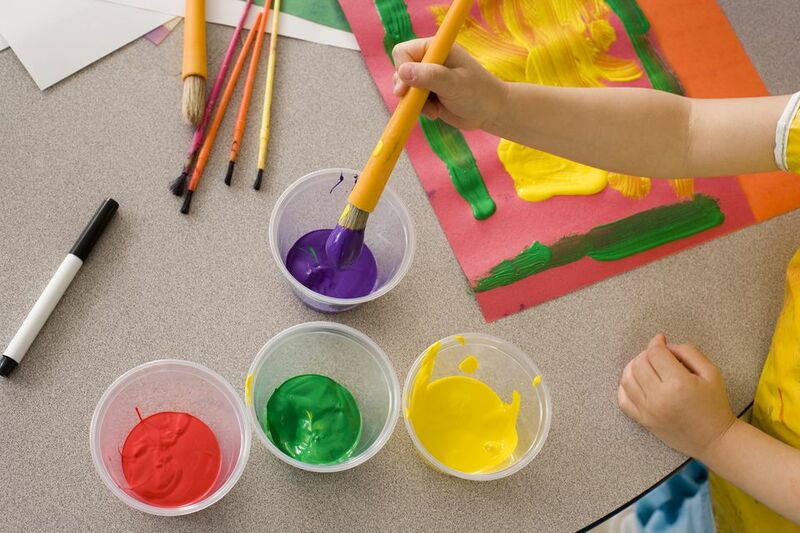 Tumble Bus, paint parties, and dance parties are offered at varying times throughout the year. All caretakers are CPR/First Aid certified and receive 30+ hours of continuing education each year. Several of the caretakers are nurses as well. Each family must pay an annual registration fee, and then services are charged at either an hourly rate—which varies by age—or in pre-paid packages. Meals are not included, but lunch and dinner can be purchased for $3/meal. The same menu items are available every day. Snacks are provided. World of Wisdom is open Monday-Saturday throughout the year, except Memorial Day, Labor Day, Thanksgiving Day, Christmas Eve and Christmas Day and New Years Day.